Eyelid Surgery In Gainesville By John W. Tyrone M.D. The eyes are often the first facial features to show visible signs of aging. Patients often complain of puffy eyelids with excess, wrinkled skin. Cosmetic surgery of the eyelids (blepharoplasty) is performed to rejuvenate the eyelids. Just as there are many types of facelifts, there are many procedures to rejuvenate the eyelids. Some patients may benefit from simple fat removal of the lower eyelids which results in no external scarring while others may require that excess skin and muscle be removed and the remaining tissues restored to a more youthful position. If incisions are required, they are well concealed in the eyes’ naturally-occurring folds and creases and become nearly imperceptible over time. Blepharoplasty is often performed in conjunction with other procedures to maximize your surgical result. Many patients choose eyelid surgery in Gainesville, FL, to restore a youthful and refreshed appearance. Dr. Tyrone, a plastic surgeon, has performed many eyelid enhancement procedures with outstanding results. Contact John W. Tyrone M.D. Aesthetics & Plastic Surgery today to schedule an eyelid surgery consultation! Do not have serious eye conditions. Dr. Tyrone has a one-on-one consultation with each patient before any Gainesville plastic surgery procedure, including eyelid surgery. During this meeting, he discusses the patient’s goals, procedure expectations, medical history, any previous surgeries, and the available eyelid surgery options. Eyelid surgery, which is also known as blepharoplasty, encompasses the upper and lower eyelids. One or both eyelids can be adjusted during the same procedure. Dr. Tyrone uses the latest surgical techniques to help patients achieve their desired goals. Puffy lower eyelids, often referred to as bags under the eyes, are a common concern for patients. When skin loses elasticity over time, it begins to sag and sometimes puff outward due to protruding fat deposits. One of two incision types is made — directly below the lash line or a transconjunctival incision. A transconjunctival incision is made inside the eyelid, allowing Dr. Tyrone to access the area without making external incisions. It’s usually performed to add or remove fat deposits in the eyelid region. Drooping and/or sagging eyelid skin can cause a patient to look older or be mistaken for appearing angry, sad, or even tired by others. For some patients, sagging lids can also interfere with their ability to see and lead normal lives. With upper eyelid surgery, Dr. Tyrone makes an incision in the natural crease above the eye. Excess fat and skin are removed and surrounding muscles are adjusted, if necessary, to create the patient’s desired result. There are many advantages of having eyelid surgery, including these three examples. Blepharoplasty enhances the appearance and shape of the eyes, providing a rejuvenated appearance to the entire face. Many patients enjoy increased self-confidence as a result. As people age, many notice fine lines forming in the lower eyelids and at the outer corners of the eyes. Eyelid surgery reduces the number of fine lines by lifting and tightening the eyelid skin. Excess, and sometimes drooping, skin and tissue in the upper eyelid and/or eyebrow can affect your line of vision. When these areas are corrected during eyelid surgery in Gainesville, FL, the patient can enjoy a wider range of vision in a matter of days. Eyelid surgery begins with an incision in the upper or lower eyelid, depending on which option you and Dr. Tyrone choose. 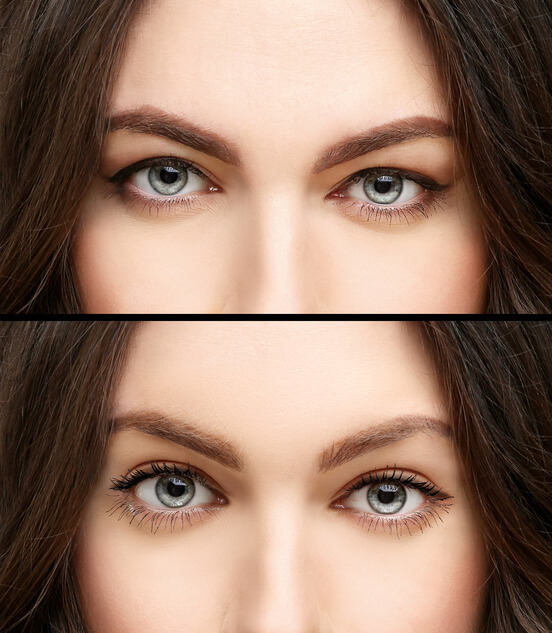 Any incision line is designed for the resulting scars to be well-concealed by the natural eyelid structure. Incisions are closed with skin glue or sutures. If sutures are used, they’re removed within one week. The final results will become evident as bruising and swelling decrease during recovery. The eyelid surgery procedure generally takes 45 minutes to 2 hours to perform, depending on whether the patient undergoes another facial procedure at the same time. Some visible bruising, swelling and soreness are common at the surgical sites. Many patients return to work and everyday activities within seven days to 10 days after the procedure. Cold compresses placed on the eyelids and keeping the head elevated while sleeping can help reduce discomfort. Good skincare habits and a healthy lifestyle will help you enjoy the results of eyelid surgery for many years to come. As a board-certified plastic surgeon in Gainesville, FL, Dr. Tyrone listens to each patient’s desires and goals and creates a personalized treatment plan. A youthful and refreshed appearance isn’t out of reach. Schedule an eyelid surgery consultation today!